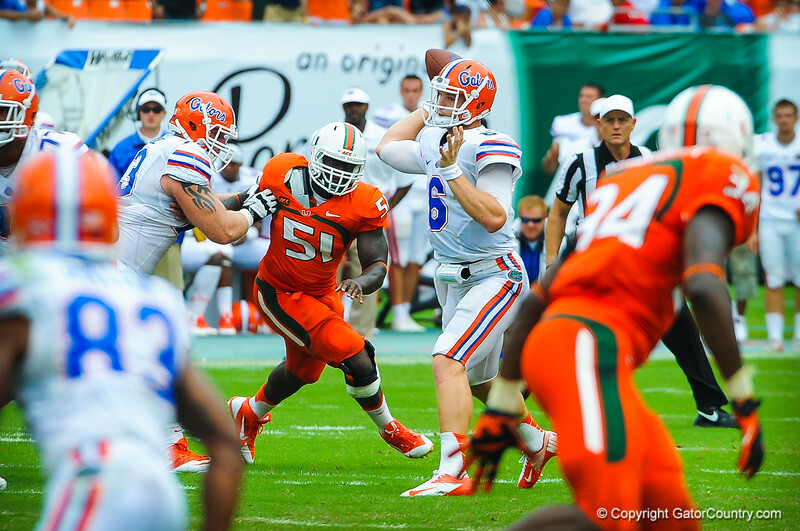 QB Jeff Driskel throws to an open gator receiver. Gators vs Miami. 9-07-13.